Stephen Kemp, an independent consultant providing advice and training to universities and researchers to help them win research funding and boost the impact of their research, shares his thoughts on 'Pathways to Impact' and the importance of embracing impact focus. 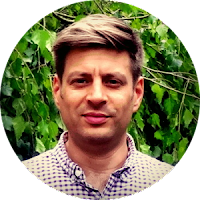 Stephen's background includes a PhD and postdoctoral research in chemistry and positions as an EPSRC portfolio manager, university funding development manager and university impact manager. To me, fresh out of postdoctoral research, the impact agenda was new but it didn’t seem unreasonable. However, academics took a lot of coaching to understand what they were being asked to do and why. Other funders have followed suit in asking for impact plans so has the community come to embrace Pathways to Impact and its kind? From my point of view, as someone who works with academics to help them win funding and increase the impact of their research, I would say... partially. But there’s still a long way to go. I believe impact is an inherent part of a socially-aware, publicly-funded academia. However, if the idea of impact for its own sake didn’t grab people, the inclusion of impact in REF2014 definitely focused minds. If universities want to take part in REF (and reap the rewards in terms of reputation and funding) then they need to show their contribution to the world. So the UK has a research system where academics are able to plan and cost impact at the outset of their research and then later get rewarded for demonstrating the impact they’ve achieved. It’s almost as if someone designed it. Still, I feel we’re not making the most of the opportunity presented by the Pathways to Impact statement (and equivalent impact/dissemination/exploitation plans required by other funders). Everyone focuses on the assessment end – REF impact case studies – rather than the inputs. So why should we give impact plans more love? Answering the right questions in the right ways, building partnerships, engaging stakeholders, exchanging knowledge, translating research outputs into other forms – these are all more effective when they are properly integrated and resourced. When you’re talking to stakeholders and considering the wider context around your research, you’re better equipped to show importance and timeliness, you benefit from the input of industry, policy and other experts to help plan and steer the project, you can access unique resources (facilities, data, field sites, etc) and the proposal just feels more “together” and well-thought-out to reviewers. Who knows - your partners may even offer a cash contribution to the research! If you don’t consider impact now, you may well find yourself applying for a separate “impact” grant later. A whole new proposal when you could have just written it into the original! Definitely a case of working smarter not harder. Get two grants for the effort of one while making it more fundable? Surely a no-brainer. Don’t worry if you feel you’re making a commitment you’re not sure you can keep. This is all about spotting and nurturing potential, not delivering on promises. You can use the impact funds whatever direction your impact takes. Research Councils ask that you provide an “acceptable” Pathways to Impact statement before they release any funding. Even if they are desperate to fund your research, you can’t start the grant if your Pathways to Impact isn’t up to scratch. Instead you’ll have to rewrite the Pathways until the funder is happy with it. At this point, you can’t include more costs so you’ll have to conjure up an impact plan with no supporting resources! Avoid this frustration by getting it right in the first place. To follow on from the *why* above, here's *how* to write a Pathways to Impact statement http://www.stephenckemp.co.uk/writing-pathways-impact/. Let me know if it's useful! I find your blogs very interesting and extremely useful. It definitely makes me think more about impact bring more clarity, stretches my imagination. Surprisingly, last week while writing Fast Track to Innovation Application I realised that I had missed one major pathway though twice I had submitted application on the same topic. Thank you for blogging on impact. Thanks Anant. Yes, there's always something you won't have thought of - or opportunities that emerge as you go along. I guess it's important to think of impact as ongoing rather than something we do at specific times.